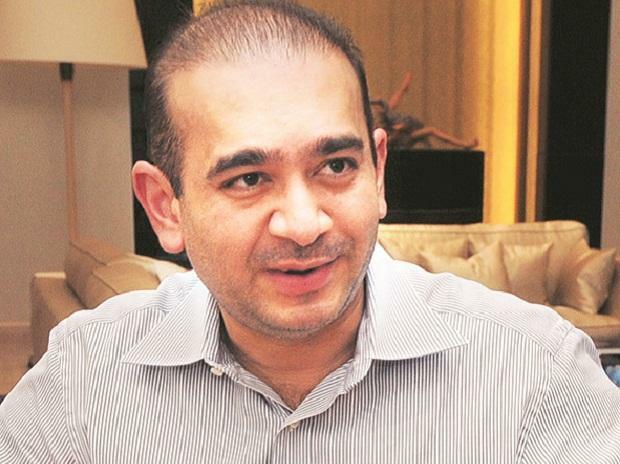 Fugitive billionaire diamantaire Nirav Modi, accused in the USD 2 billion PNB fraud case, is living openly in a swanky 8-million pound apartment in London's West End and is now involved in a new diamond business, a British daily reported on Saturday. Despite his bank accounts being frozen by the Indian authorities and an Interpol red notice being issued for his arrest, Modi, a diamond jeweller whose designs have been worn by Hollywood stars, is now involved in a new diamond business based in London, the report said. In a video posted by the newspaper, Modi can be seen sporting a handle-bar moustache and wearing an Ostrich Hide jacket, estimated to cost 10,000 pounds. When journalists from the paper questioned him on various issues, including whether he has urged Britain to grant him asylum, Modi ducked them by saying, "Sorry, no comments". A source told the the UK daily that Modi had been given a National Insurance number by the Department for Work and Pensions, meaning he can legally work in Britain, and has used British bank accounts.